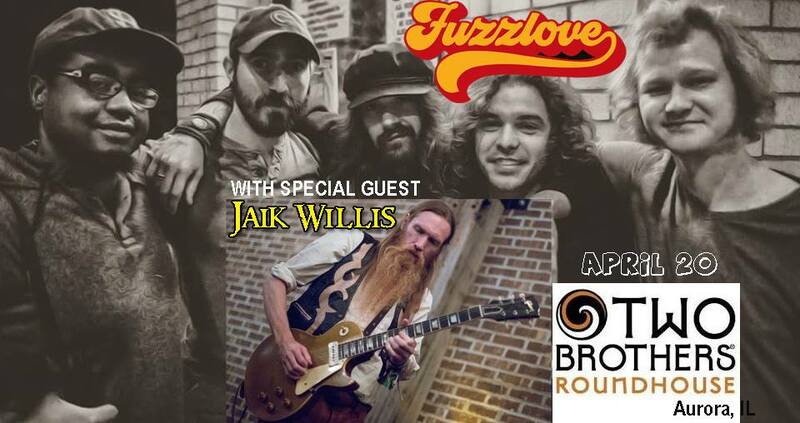 9pm, no cover, 21+: Fuzzlove was formed unexpectedly by strangers who had one thing in common: a passion for playing music. Now, great friends, these five young musicians from very diverse backgrounds soulfully blend together their different influences of funk, jazz and rock; creating a fresh, unique sound. Jaik Willis is a strumming & drumming One Man Band, a wild fire-breathing freakshow; playing an 11 piece drum set with his feet while playing guitars / bass / & harps; while sing and beatboxing simultaneously, live with no looping or electronics. Perfomring 300 shows a year with appearances at Bonnaroo, Summer Camp Music Fest, Dunegrass, the Chicago Bluegrass & Blues Fests etc. Jaik Willis got a shout out in Rolling Stone magazine for his vocal contribution to the Bassnectar album “FreeStyle” that debuted at #1 on iTunes.